Poll: 73% of Americans reject so-called AGW consensus (but you wouldn't know it from the headline) | Watts Up With That? Wow! 70% of Americans believe in climate change!!! That’s as astonishing as saying that they believe in weather!!! So, 73% of Americans reject the 52% consensus. Pie chat constructed from Monmouth University Poll. January 6, 2016 in 97% consensus, Climate News, Politics. This makes me wonder what the poll results would have been if these questions asked about “global warming” instead of “climate change”. Sorry, myNym but did you mean to write ‘everything’ where you wrote ‘other things’? Sorry, no. If I were to hear “we want to take away all of your freedoms, and all of your money”, I would tend to believe it. So, no, not quite ‘everything’. Climate change is not global warming – that’s why the schemers changed the name. Climate Change = Global Warming; it is only people like you that fall into the alarmist trap of not understanding that simplicity. 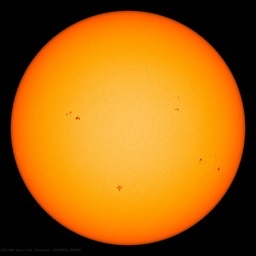 They shoved Global Warming down our throats for a long time, but the temps didn’t follow the hyperbole of a boiling earth AND they knew the PDO was going to flip AND they knew the AMO was going to flip AND they knew about the low sunspot cycle. Bryan….you don’t get it. If you go back 20, 40, 60, etc., years and someone mentioned Climate Change to you, your thought process would equate that to natural climate variability. Today, that is Not the case. The alarmists hijacked Climate Change in lieu of Global Warming cuz they knew it wasn’t warming and for other factors I previously mentioned. The original premise WAS Global Warming and NOW, with their new name, an ice age is caused by the Magic Molecule CO2. No Bryan A, Climate Change is the replacement wording for Global Warming when warming failed to happen. You’re going by what you think it means, but Kokoda is correct, he has stated what it really means. Yes I agree, the obfuscation of Global Warming and Climate Change was purposefully political. “Schemers” is probably an accurate description, I might expand to say schemers made up in equal parts crooks and fools. 4. 1988. The IPCC is established — and that “CC” means, well…? Sure, the mainstream media may have used the term “global warming” more than they did “climate change,” but the scientific community has called it “climate change” for decades. Fair arguments are fair arguments, but B.S. is B.S., as any reasonable person should conclude. The CAGW dogmatists have been allowed to extend their myths of evidence for AGW by controlling the language, and sites like WUWT have conspicuously failed to be as effective as they should be. This has happened because our side of the argument have never had a policy on words and wording. When, ten years ago, the dogmatists stopped using CAGW and started to use new phrases like “Climate Change” and “Extreme Weather” they were reacting to teh obvious fact that the climate warming of the 1980- 2000 has begun to level off. They wanted to make a new link in the public’s mind natural extreme weather events (local cooling events, storms, droughts and floods) with the warming that had been recorded between 1980 and 2000, in this way they successfully managed to give the impression that evidence of CAGW was still mounting up. Their game play succeeded because we let them dictate the language of the debate. The stupid thing is that even on this site we talk of the “Hiatus” and use the word introduced to imply that the warming will start up again. The correct neutral term was not pause, it should have been something like “a levelling off of the warming at the end of the last century”. How often is such language used on WUWT and how much more often do we call it a hiatus? This site desperately needs a language policy that frames the debate in neutral language, words like hiatus should swept out of the debate because no one really knows that it is a hiatus, all we know is that their has been a levelling off which might become either a high point or a hiatus. Julian….+100; in order to ‘reach’ the general population, wordsmithing is vey important. Most don’t get it. … sites like WUWT have conspicuously failed to be as effective as they should be. WUWT is pretty darn good IMHO. Given the full court press being put on by the mainstream media and politicians it is amazing that the vast majority of the population is at least somewhat skeptical. WUWT deserves at least some of the credit for that. It isn’t a direct effect; most of the population isn’t aware of its existence. It works by providing a place for skeptics to recharge their batteries and get fresh information to counter the alarmists. They then go back to their communities and spread the word. I suspect that there’s a big multiplier effect. Um, even pause implies a restart. The correct word is “HALT”, for it IS halted until and unless evidense of a restart or drop arrives. By the way, what’s your plan? The temperature has plateaued or flat-lined now that we are in the climate doldrums historically. It has always been true that he who controls the language will control the debate. That was a large point made by George Orwell in his essay on language. The “global warming” minions admitted there was no ongoing CO2 caused global warming when they changed to “climate change”. Heck, the climate is always changing and always has changed. The moved the goal posts yet again. We lost that battle early on. Oh well. But, in the end, the truth will prevail. Physics is physics. We have not lost “the battle”. Their battle is against physics. They aren’t fighting us, they are fighting the truth. There is no winning that battle. @Julian Williams: “When, ten years ago, the dogmatists stopped using CAGW and started to use new phrases like ‘Climate Change’…” I beg to differ: the IPCC was formed in 1988, and that “CC” referred to … wait for it … climate change. Argue all you might want in a reasonable fashion about AGW, the Karl et al. disproved “hiatus, Monkton’s — well, let’s be kind — unsupportable mathematics, and the like, but please don’t try to rewrite history, m’kay? Yes I don’t get that, some discredited or at least debatable studies do not a consensus make. So why is the media so lazy about simple basic reporting. Who in their right mind reports on scientific issues based on consensus. If we get consensus that the moon does not affect the tides, does that mean the moon no longer affects the tides? Apparently to the MSM, that is how science works. Consensus is a tool for getting results in politics not science. Consensus is a tool for getting results in politics and religion, not science. There, fixed it. You’re welcome. 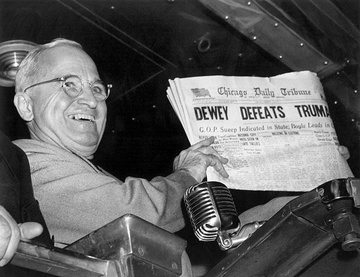 Reporters nearly always use consensus scientific opinion. When reporting on evolution they do not usually discuss creationist views. They conflate HIV and AIDS, not bothering to mention those few scientists that think HIV does not casue AIDS. The big bang and inflation are mentioned as events, not just as the majority view. Global warming is reported as occuring, the contrary view of a few scientists is not generally reported. This is all normal and how it should be. Unless the topic of the report is the uncertainty, then the consunsus view is usually assumed. So we might expect some articles whether HIV causes AIDS or whether the Big Bang or Inflation really occured, focussing on the dissenters. There will be the occasional article discussing the merits of creationism, and there will be a some discussing the merits of AGW. But for most cases, the correct journalistic approach is to assume the consensus of experts is right. That is different from the correct scientific approach. Here we must never assume anything is right. We must constantly question and investigate, until there is enough evidence for a consensus to emerge. If there is evidence discovered to convince a significant proportion of scientists that there is no AGW, then we will have a new consensus. Just as if enough evidence is discovered to convince a significant proportion of physicists that inflation did not occur in the early universe. Until then, we have the one we have. even if there is a consensus , what value does that actually have ? what was the consensus on ? how do we know there was a ‘consensus’ when we don’t even know the size nor make up of the group that is supposed to have this ‘consensus’ and or in fact if they do represent the majority which they would have to be a ‘consensus’? I believe in weather. I don’t believe in catastrophical anthropogenic global warming. Wrong questions asked as usual. Self serving questions rather than wrong questions, but I agree with you that the politicians will deserve their treatment, when finally handed out by the peasants. “Inspired by the sermons of the radical cleric John Ball, and led by Wat Tyler, a contingent of Kentish rebels advanced on London. They were met at Blackheath by representatives of the royal government, who unsuccessfully attempted to persuade them to return home. King Richard II, then aged 14, retreated to the safety of the Tower of London, but most of the royal forces were abroad or in northern England. On 13 June, the rebels entered London and, joined by many local townsfolk, attacked the gaols, destroyed the Savoy Palace, set fire to law books and buildings in the Temple, and killed anyone associated with the royal government. The following day, Richard met the rebels at Mile End and acceded to most of their demands, including the abolition of serfdom. Meanwhile, rebels entered the Tower of London, killing the Lord Chancellor and the Lord High Treasurer, whom they found inside”. Couching the question to predetermine the answer. Sounds like something a lawyer would do. YES or NO! Have you stopped beating your spouse! Admit your guilty! Accusation proved! All intelligent people know that the climate changes over time. There are many points actively contested. From the very basic one of: Can CO2 warm the atmosphere all by itself? To more general ones like: How much natural variability exists in the climate regimes of the Earth? And ones that challenge the notions that CO2 increasing or the atmosphere warming are bad things, to be feared or avoided. There is no one single question or disagreement. It is more true to say that every single contention of the warmistas is, at the very least, highly debatable, and quite possibly completely erroneous. It makes you wonder how the results would change if the key word “cyclical” had been used with natural change in the survey instrument. These results show that critical data analysis with imperfect data and irregular cycles is not being taught in college. I guess critical thinking did not make the cut in curriculum development for Political Science and History majors. Add that observation to the time capsule trinkets for the next few generations to look back on. Whenever I run across someone who believes in CAGW, it doesn’t take long before they are either convinced they are wrong, or are consumed by reasonable doubt. The only ones who fail to see reason are those with a strong political bias which is the main reason why climate science is so incredibly wrong in the first place and unfortunately, many climate scientists fall into this category. As far as the (inadequate) records show–less than 200 years for small areas–there has been an overall wwarming trend. The problem is the deliberate attempts to cook paleoclimate studies, like the divinely inspired Michael Mann (there must be some reason for that puppy being so influential :)). There is no simple answer, and polls tend to declare there is one. The warmers would have you believe that this started in the 1700’s with the end of the Dalton Minimum….they blame it on the start of industrial activity and the greenhouse gases we came to emit. Trouble is they don’t check their facts and more importantly neither does the media. The main gas that gets the blame is Carbon Dioxide but there is no increase until the early 1950’s. in the post war boom. Industrial output increased, CO2 emissions increased……but the temperature declined due to a solar minimum. Just one example of an AGW epic fail. There is a relatively simple answer TH to the majority of what the alarmists would have you believe is “man made global warming”. TH, if you were to remove the constant upward daily adjustments of the worlds temperature records by beureus of meteorology or their equivalents, all according to worlds best practice of course. Just what have you got left of that “overall warming trend”? Yes, “global warming” is certainly “man made”! Over-educated children embrace the silly idea the most. Give ’em a few years, until they’ve seen what accomplished liars their politicians are. But ‘climate’ is an average of 30 years of weather, so unless they were a very aware group of 4 year olds, then they have not really experienced ‘Climate Change’ have they. Plus if they are aware of the satellite data, that has no overall change for 18 years. What this study has revealed is the effectiveness of Propaganda & Psych-ops. Frankly what the public believe is so fickle anyway I couldn’t care or less. People believe what is happening in their back yard at that moment. If a cyclone devastates their country they will look for reasons why and suddenly everyone believes in climate change. If they have a long patch of settled weather then this AGW stuff is all rubbish. I think the more informed among us on both sides of the debate know these public surveys are as reliable as politicians to tell us what is happening. Another monitor saved – just. “As reliable as politicians.” Mmmmmmmmm . . . . .
As constant as the wind. As invariant as the weather. I live in England. We do get weather. Where did David Middleton get the “52% consensus” number from? David I’d like to point out something very important IMO that has been created out of whole cloth by eco-terrorists an shouldn’t be promulgated; the idea that a scientific consensus can be determined by polling scientists for their position on some issue (“Crest gives you whiter teeth”). Scientific consensus is is formed by repeated experiments. A scientist presents a hypothesis (“human released CO2 raises the Average Global Temperature”) and proceeds with an experiment that both disproves the null hypothesis (“natural variation causes a rise in AGT”) and supports the hypothesis advanced. When that experiment is determined valid and repeated by other scientists, a scientific consensus is formed. Scientific consensus is not a popularity contest and it isn’t a democracy. I think it’s importat to get that message out. Which of course was precisely the response of embarrassing charlatan and mountebank Phil Jones of University of East Anglia CRU infamy when asked to provide his data. This is an interesting study. If we look at it closely we see that 83% of AMS members who are publishing in the area of climatology think global warming is real and at least 50% man made. The authors conclude that the results “Confirming all four hypotheses…that greater expertise, more liberal ideology, greater perceived consensus, and lower perceived conflict each predicted higher levels of certainty global warming was occurring, higher likelihood of viewing it as mostly human caused, and greater ratings of future harm.” (my emphasis). Yes, that does say that more expertise in climate (among other things) correlates to higher levels of certainty that global warming was occuring and that it was man made and dangerous. The table is quite revealing. The overall “Yes, mostly human” figure is 52%, but examination of the table shows that if we use only those who are publishing in climate science, the figure rises to 73% (n=416). If we include the equally natural and man made, the figure jumps to 83%. If we wish to argue what proportion of “experts” agree that global warming is real and at least 50% man made, I think the 83% is more accurate than the 53%, since the majority of AMS members are not experts in climatology. Of course, many climatology experts are not members of the AMs also. This is wrong. The figure for the categories they mention would be 82% – the proportion of AGU members that answered “yes”. The 97% figure comes from the subcategory of scientists that were experts in climate science and actively publishing or form surveys of published papers. In other words, those people who’s income relies on them believing that CO2 is a problem can be reliably counted on to believe that CO2 is a problem. Bias is a human conundrum that comes in many forms, including WUWT itself. Fortunately for WUWT, the facts supporting CAGW are at best very weak. But, it was never about CAGW, was it ? 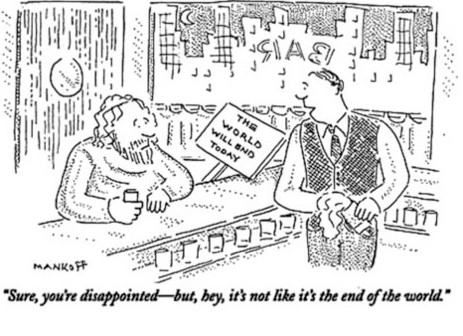 Warmists have moved beyond CAGW and are implementing Phase II. IMO, the most likely candidate for stopping the alternative energy nonsense is a global depression. We won’t be able to afford it. Do you find it interesting that the timing of Phase II is running smack into a bloated fiat economy ? Caller ID; the best invention since tin cans and twine. When I get a Pollster call, I just ask them to “hold on for a second and I’ll be right back” then I set the phone down and walk away. They usually disconnect in a minute or two. Pollsters, Marketeers and the rest. If I’m feeling bad, I do the same, but with the computer playing something by Max Bygraves . . . . I don’t know if ever there was a poll taken that wasn’t skewed simply by the the presentation of the questions or the order in which they were asked. None of the pollsters are exactly like Socrates engaged in a dialogue in search of truth. I think it’s very clear from the ongoing sock puppet rhetoric that the “movement” is deliberately confounding climate change with cAGW. It would take a fool to deny that climate change happens, all the evidence we have in had support that. I don’t think anyone who’s graduated the 4th grade hasn’t been exposed to the idea of Ice Ages. There are children’s cartoons about it. So the radical eco-terrorists try to label anyone who remains unconvinced of cAGW a “climate denier” even when they agree climate changes. If a person makes any attempt to explain the difference they fall back on the “take your meds” and “get out your tinfoil hat” methods of persuasive argument. From there the situation deteriorates into monkey house tactics. Personally, I’ve decided the best way to deal with that is to keep presenting evidence (with references if necessary) until the true nature of the sock puppet is revealed. It isn’t necessary to make these people look like fools, they’re very good at doing it all by themselves if you can stay cool long enough to let then do it. The correct answer for anybody answering honestly is “don’t know”. And only 1% gave that response. That so few answered honestly demonstrates how effective the propaganda campaign has been. If I were answering honestly I’d probably say most climate change is due to natural causes. After all, nature has caused 100% of the climate change that has occurred during the 4 billion or so years that Earth has had an atmosphere. Only 8% gave that response. Another sign of how effective the propaganda is. Actually, the science shows that CO2 is a bit player when it comes to climate changes. Saying that most of the change is natural can easily be supported. Only one percent don’t know? It may be coincidence but the adverts on this page are displaying vacuum cleaner heads – which seems to say to me, that this scam is all over bar the vacuuming. 27+34% = 61%. 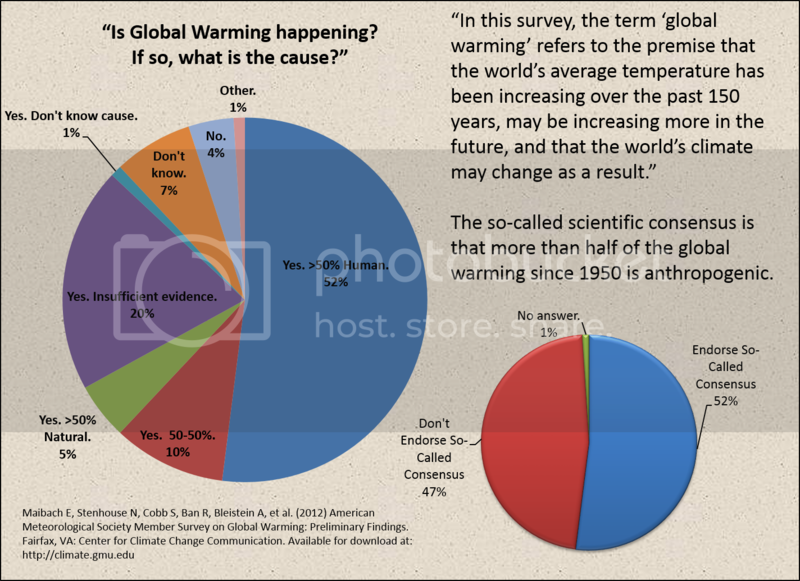 So 61% of Americans believe that warming is occurring, and that human activity is responsible for 50% (or more in the case of the 27%) of the warming. It is not correct to say that 73% of Americans reject AGW, because the AGW position acknowledges that natural causes of warming exist and can be co-contributors to the overall warming that occurs. It’s about minuscule percentages of warming that might be attributable to human activity. In other words, we don’t trust the figures touted about from those who have vested interests in lying to us. There are close to 7 billion people living on the planet. So what, if temperatures did rise a little? Do you want to cull 3 or 4 billion, Chris? “Both equally,” is not an endorsement of the so-called consensus. It is a rejection of it. Both equally is 50%, so 34% of respondents said that, and 27% said human activity represents 50.1% or more (meaning a majority). If you view that as a rejection of AGW, then why did 64% say they support the statement in question 7: In general, do you support or oppose the U.S. government doing more to reduce the type of activities that cause climate change and sea level rise? In order to not reject AGW (the standard definition of the consensus) a respondent would have to reply “human activity.” All other responses, including “both equally” is a de facto rejection of AGW. Very unclear question. Probably intentionally. What does “this” in “or is this not happening?” mean? Are they talking about the change or the extreme weather and rise of sea levels? If the majority of the small warming over the last century+ is natural, then by definition, there is nothing to worry about. The mythical consensus has tried to claim that most of the warming was caused by CO2. Keep in mind “Climate change” includes land use changes driving changes as well. My reading of everything leads me to think co2 is a small player but we likely have measurable impact from all of the changes we made tot he landscape. So on such a poll Id be factored in with those who think humans likely changed the climate, but I doubt co2 was the issue. Is it asking too much to state when the poll was taken? and what percent were reached by landline phones? Okay, then re-testing with another survey at the end of January can test for robustness since they are not asking the know-it-all respondents about weather. 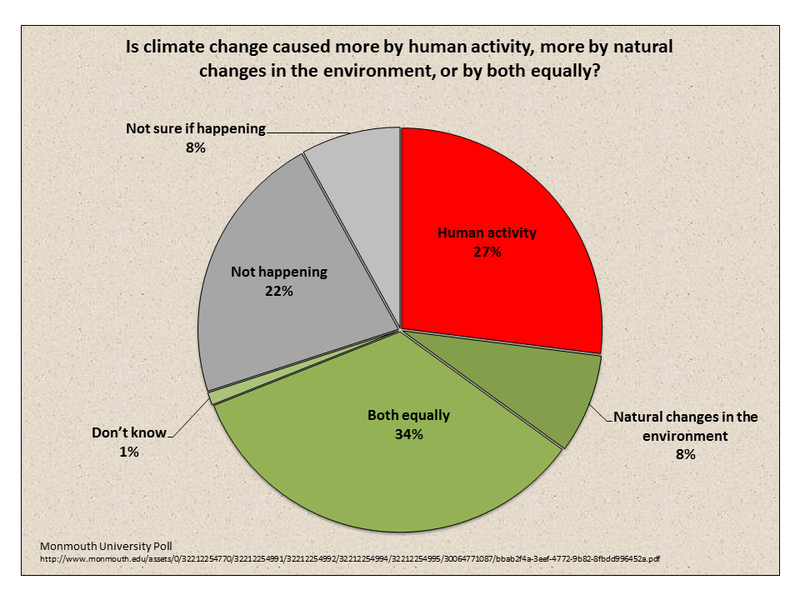 Only 8% responded correctly that the cause of climate change is mostly natural, therefore 92% of poll respondents are morons. I think that’s a general truth about polls. Let’s see, 10 C degrees of warming in a couple of decades at the end of the Younger Dryas, yeah I believe in climate change. What’s the IPCC predicting, possibly up to 2 C in a century? When the natural warming trend we’ve been in since the 1800s will account for half of that, should an IPCC prediction actually come to pass? No CAGW proponent really takes it seriously, so why should I? weather patterns and the rise of sea levels, or is this not happening? Complex question. First the survey does not define “climate change” and this first question mixes together whether the never-defined “climate change” is happening with do the effects include more “extreme” weather patterns. sea level rise will be mainly limited to coastal communities or will it affect inland areas just as much? A blatant example of petitio principii (begging the question). The responses on this question can have no useful meaning in terms of what people actually think. sea level rise will have in the area where you live? A less blatant example; it really boils down to asking people whether they live in a coastal or inland location. Again the question is prefaced with an appeal to authority (“some say …”), which taints the responses. region, age, education, gender and race based on US Census information. My unvarying response to phone invitations to “take just a few minutes” to respond to a survey is “no”. This is a good example of why. In my humble opinion, for realism, such a poll must be directed/asked in such a way as to determine how many of the respondents have actually properly ‘reviewed’ the subject under question. So, for example, questions like ‘How much independent enquiry have you made about climate change?’ would be useful to see discern those who ‘take MSM as gospel’ and those who ‘check for themselves’. Naturally, one might expect that those ‘higher’ educated may be more prone to checking what they are told (aka being skeptical!). Polling the general public in order to try and obtain some idea of ‘populus’ opinion of a serious matter is largely flawed due to the majority of the population being only ‘aware’ via MSM, etc. It may be apathy, of course, but for Mr and Mrs Average, getting their info from the news is far more likely to fit into their busy ‘average’ lives than obtaining independent, deep or meaningful enquiry. Such a poll seems to me to simply be a means to provide yet another tool for further ‘self flagellation’ of said populus! – hardly fair or realistic, is it? Just my view of polls in general….. Agreed. If you sample under-informed respondents, you get a measure of media bias. Best if the poll takers screened respondents for a few relevant scientific facts first. So many press releases play games with the words. This one reminds me of a Russian news article about the Olympics. It said United States comes in next to last and the Russians take second place. This was true but they neglected to mention that only the US and Russia were competing in the event. Unfortunately too few people look past headlines to discover the BS twist. There is an overwhelming consensus in the mainstream media that the most responsible way to report the news is to tell gigantic lies about almost everything. Of course the MSM tell the biggest porkies they can get away with. It’s no different to the tabloid newspapers in the old days where the Front Page ‘headlines’ were usually intended to help sales! (I suppose it’s still the same today, but I have not purchased or read a newspaper for some 25+years!). Modern MSM is the same, but obviously via different medium, clickbait articles are well known, as is the sensationalistic ‘on the spot’ ‘live’ reporting when anyone does anything out of the ordinary. It’s rather sad that pretty much all journalism now has to factor this into its very being, and each and every story has to be sensationalised. I am at least grateful that my 12 year old daughter has started to understand this for herself (perhaps with a little prompting!) and has indeed developed a healthy skeptical nature to the MSM in general. If only half the worlds adults could do the same!? As lawyer’s know, a debate using terms having different meanings is usually meaningless. Pat – here is an analysis of a similar poll on the subject from March. Americans continue to name the government (18%) as the most important U.S. problem, a distinction it has had for the past four months. Americans’ mentions of the economy as the top problem (11%) dropped this month, leaving it tied with jobs (10%) for second place.Though issues such as terrorism, healthcare, race relations and immigration have emerged among the top problems in recent polls, government, the economy and unemployment have been the dominant problems listed by Americans for more than a year. 3. In general, are you satisfied or dissatisfied with the way things are going in the United States at this time? And this is the record lowest O-bama has been able to achieve for Dissatisfied on the direction of the country. all the rest were higher When every month of your Residency you have more than 62% of folks telling you are going the wrong way, it is a problem with leadership. Next time ask them why the heck they still have a land line phone. Because it doesn’t cost as much to have a land-line phone! They are superior in other ways as well. Cell phone technology leaves a lot to be desired. It’s kinda lame, isn’t it? The voters were never asked, in the voting nations. And, in recent years, the climatariat have expressed frustrations that democracy fails because it allows too many people to not vote for what the global-warmers think is good for us. Some people cannot believe some other people cannot believe in “climate change”. Here is a clip on this topic. the whole thing is fraud. The media discussion and surveys have all slipped into a religion instead of what should be the focus, some way of more accurately predicting near term (IE shorter than long term but longer than weather) weather pattern changes. Surveys, anymore, make me want to hurl, spew chunks, lose my cookies, and barf. This is the result of a generation of brainwashing. Unfortunately I missed the brainwashing boat. Does that mean you have a dirty mind? Can somebody please throw this all together into an academic paper and get it published in a leading psychology journal? I thought some warmist proved that only deniers believe the moon landings were faked? Who elected that man ? A great book called Obama Zombies followed the rise and first election of the current POTUS. One of the underlying things that Obama’s handlers saw was an untapped source of votes that existed among the educated college type crowd, esp he ones going to fancy schools. These were the grandchildren of the most successful generation ever. If anyone knows a rich grandparent or two they rarely say no to their grandkids and turn many into little demigods. So much of politics since Watergate has been a swinging of the pendulum back and forth. A dividing of the nation into nice little groups that respond well to backlash of previous extremes. Obama carried the presidency on the backs of the above described group. They rallied targeted votes and accomplished something that in their minds made them extra special. They were going to right the wrongs of their forebears … at least in their minds, change the world. Funds would be diverted from the militaristic trend of the previous administration. Bush bad. Obama the savior, the uniter. And so here we are. CAGW was one of their special issues. If you’re ever bored search around to see the ages of the folks who inhabit this administration. He rewarded them for their loyalty and now they have had a taste of how the ends justify the means. Dig even deeper and see the explosion of wordsmithers in this current administration. Message makers, handlers, spin experts. The question becomes is their sufficient backlash to elect a new path ? Will 2016 be the unraveling of a bloated market ? Bloated real estate prices in favorite cities ? Watch 2016 as the current president tries to hold onto the the financial house of cards with increasing tenacity. This is his achilles heel. If it goes down, the GOP will get elected. If not, the charades will continue because the masses won’t be pissed off enough. 18 to 35 year olds are running this country. Interesting that the survey does not offer the option of ‘mostly natural but some human contribution’. Just watching a show about sugar and the sugar industry lobbying and manipulating the funding for medical reseach into sugar related health issues. Similar to the big tobacco stuff. Big Green has learned its lessons’ well. There is a lot of irony as to where they learned them from I suppose but it still does not excusae the bulldust and propaganda such as the spin on the poll results mentioned in the article referred to. I think only 1% of those surveyed answered this question accurately. Nobody really “knows”. Truth is not a popularity contest. Politicization of science is the real problem for this issue (and many others). Both sides need to be humble when making claims about complex systems. We could raise funds through this site to commission a real opinion poll by a professional polling company that asked the right questions. It seems that, historically public opinion, including scientific community, is correct as much as it is wrong. Thus it is useless in evaluation of validity of anything. It was once widely believed that Earth is flat sitting on the back of some giant animals (wrong), or energy and momentum is conserved (correct – I hope), or Earth is in the center of Universe (wrong), or Einstein’s relativity (correct)…. Time will show whether public was right on the dark matter, dark energy, Universe expansion, string theory, Big Bang, man made global worming… In the meantime the majority (I hope I’m wrong here) of scientists are forced to compete for piece of bread instead of advancing science. This turns them be become corrupt by this struggle. And this corrupt majority presents their hypotheses as falsified and well established theories. So, I wouldn’t give my money for polling of anyone. The difference here is that the government wants to spend our money on efforts to halt, fight and/or fix climate change. So unlike plate tectonics vs geosynclines, the public’s opinion matters, because they vote. “Both equally” is a horrible choice, what is the chance of that? When asked to pick a team, don’t say the game ends in a tie. I have to put that response in the category of “I don’t know”. Yes formulated like that and it seems that public opinion matters. However, the funding for any research is distributed by the agencies that hire program managers who bring their biases with them. Biased program managers assemble panels that evaluate research proposals. These panels bring their biases (and “politics”) that, to no surprise, match biases of the program managers. In such way a clique is formed in scientific community. This clique controls funding, publications, and, finally, shapes both public and government opinions. Therefore, studying or relying on this secondary opinions is useless. We have to change current system for funding scientific research that leads to formation of cliques in science. And then opinions will compete and will matter. Read Lee Smolin “Troubles with Physics” for an example of current state of science. Also, Leo Szilard’s “Mark Gable Foundation” gives great insight into flawed system. I was thinking more about Cap & Trade and regulatory malfeasance than research bucks. I agree that research funding is in dire need of an overhaul. Thank you David for your article. Is global warming alarmism simply false or is it fraudulent? Global warming alarmism is clearly fraudulent – in financial terms, it is one of the greatest frauds of all time. Indeed, but I doubt most care. Perhaps fraud weariness has set in. While honest thinkers want the charade to stop, I wouldn’t doubt that many people are fine with a new energy paradigm that decentralizes. It will hurt if it costs them an arm and a leg. If you doubt the above, think in terms of the real estate debacle. Most folk know that bankers ripped them off. The public paid and still pays to fatten their coffers, yet most don’t squawk much as long as their house rises in value and they can keep on keeping on. The fraudsters are diabolical in how they give a little to get alot. I certainly don’t have the answers to show the nakedness of the emperor, but the more skeptics focus on the past fraud of CAGW research, the more the warmists make headway on a new energy frontier. I have worked in the energy industry for much of my career. When challenged on this question by green fanatics, I explain that that fossil fuels keep their families from freezing and starving to death. Cheap abundant reliable energy is the lifeblood of society – it IS that simple. Wind Power is what warmists typically embrace – trillions of dollars have been squandered on worthless grid-connected wind power schemes that require life-of-project subsidies and drive up energy costs. The Capacity Factor of wind power is typically a bit over 20%, but that is NOT the relevant factor. The real truth is told by the Substitution Capacity, which is dropping to as low as 4% in Germany – that is the amount of conventional generation that can be permanently retired when wind power is installed into the grid. (apparently no longer available from E.ON Netz website). Figure 7 says it just gets worse and worse the more Wind Power you add to the grid (see Substitution Capacity dropping from 8% to 4%). In my province of Alberta, intermittent grid–connected wind power is paid 20 cents per KWh, 24/7 even when there is no demand for that wind power, whereas reliable fossil-fueled power is paid about 5 cents per KWh. In reality, wind power is probably worthless due to its intermittency, so the subsidy is not [20/4]=400%, it is INFINITE. Same story applies to grid-connected Solar Power (both in the absence of a “Super-Battery”). This was all obvious to us decades ago – we published similar conclusions in 2002. Trillions of dollars have been wasted globally on green energy that is not green and produces little useful energy. That 2% for Renewables is vastly exaggerated, and would be less than 1% if intermittent wind and solar power were not forced into the grid ahead of cheaper and more reliable conventional power. This is not news – we have known this energy reality for decades. As we published in 2002. I (we) now think naturally-caused global cooling will commence after the current El Nino runs its course, prior to 2020 and possibly as soon as 2H2017. Bundle up! 2012 Discussion: How can we make intermittent electric power more economic? Let’s say that the subsidies are removed. Let’s say that many wind farms go bankrupt. Now what should be done with all those wind turbines. Is there an opportunity for some bright, hard working, free enterprise individual to somehow make a viable business out of all this mess? What would a large amount of intermittent power be good for? Milling wheat, corn or soy? Water heating/treatment for local towns. Powering compressors to aerate lakes and sewage ponds? Since they are so big and heavy would they not be difficult to just scrap and recycle? You are on the right track polski. We probably cannot afford to take down these worthless eyesores, although maintaining them may not be economic either. If we ever develop a “super-battery”, such as millions of electric cars plugged into the grid when parked, wind power may become more economic. Other possibilities, such as those you have mentioned, are to use wind power for applications where its intermittent nature is not such a detriment. Large heating systems using hot water could be one such application, perhaps coupled to large industrial users. However, waste heat from coal and natural-gas fired power stations would probably be less expensive. In my province of Alberta, intermittent grid–connected wind power is paid 20 cents per KWh, 24/7 even when there is no demand for that wind power, whereas reliable fossil-fueled power is paid about 5 cents per KWh. In reality, wind power is probably worthless due to its intermittency, so the subsidy is not [20/5]=400%, it is ~INFINITE. Now ask how much are willing to pay. I find it amazing that 30% of those polled don’t know the climate is always changing. What kind of ignorance are we churning out of our schools? Of course the climate is changing. God help us if it ever stops. But that was never what the debate was about and as such the entire poll is crap. This confused poll is from a country where 40% of the pop rejects the theory of evolution, isn’t education wonderful !. How many governments can 31 trillion dollars in carbon futures trading can the banking industry buy? How many government-run academics can the government buy for 1.3 trillion dollars every year in new carbon taxes? How many “scientists” can the federal government buy for 92 billion dollars, if one $25,000.00 payment for one project by one think tank corrupts a private scientist for all time? The climate is changing. We did not cause it to change now or in the past. We cannot stop it from changing in the future. @Rik Myslewski January 7, 2016 at 11:27 pm d3nied the semantic switch from global warming saying science has always called it climate change. Rewriting history is much more difficult now isn’t it?